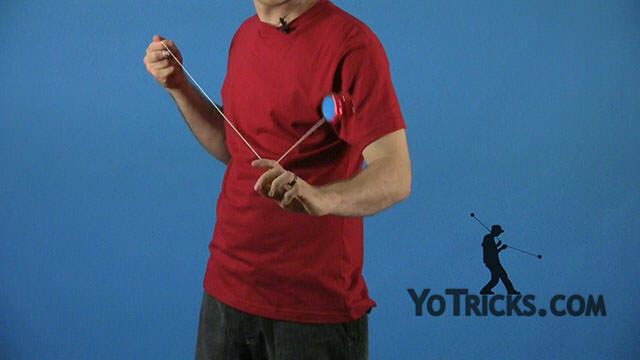 Roller Coaster Yoyo TrickThis trick is the Roller Coaster; it looks like this. As you can see the Roller Coaster is really just made up of several tricks that you have already learned with just a simple transition right in the middle. I’m going to show you that. You want to start off with you Man on the Flying Trapeze, or your single mount, then you are going to throw it off across your body. You are going to hook it around your first fingers again to get you into your Double or Nothing. 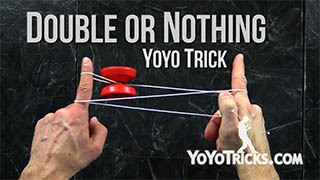 That is really the only unique part about this trick, going from your single, toss it off, get it into your double. Now that you are into your Double or Nothing you just want to dismount like you normally would, but instead of bringing it right back to your hand you are going to do a forward flip and then a reverse flip dismount. 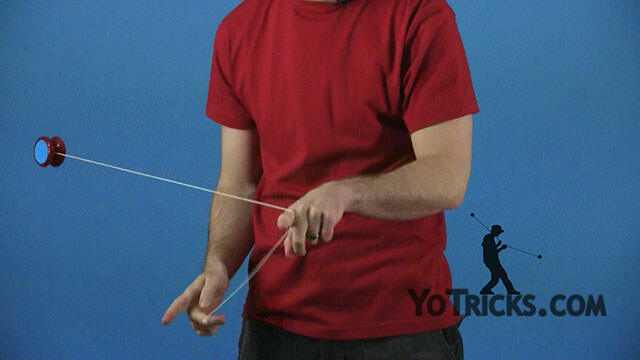 What’s nice about the Roller Coaster, since it is already a combination trick it is really easy to add extra elements to make the trick look even better. For example: maybe you want to start with a pinwheel and then go into the rest of the trick. 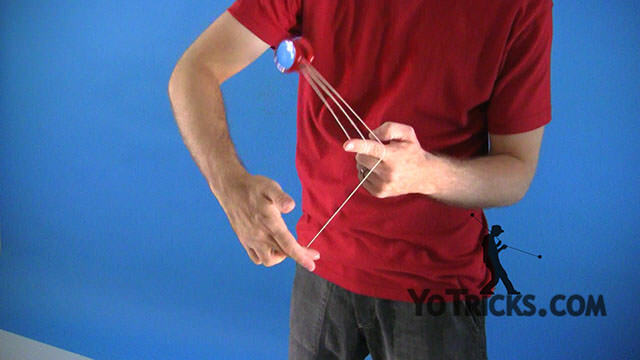 You could add extra flips in different places. So you start with your pinwheel, do a reverse and then do your dismount (that is actually called the Matrix). Then you just go out, do your forward flip, finish it with your reverse. You can add all sorts of different elements and combinations to the Roller Coaster to make it your own, personalize it and make it look as cool as you want.